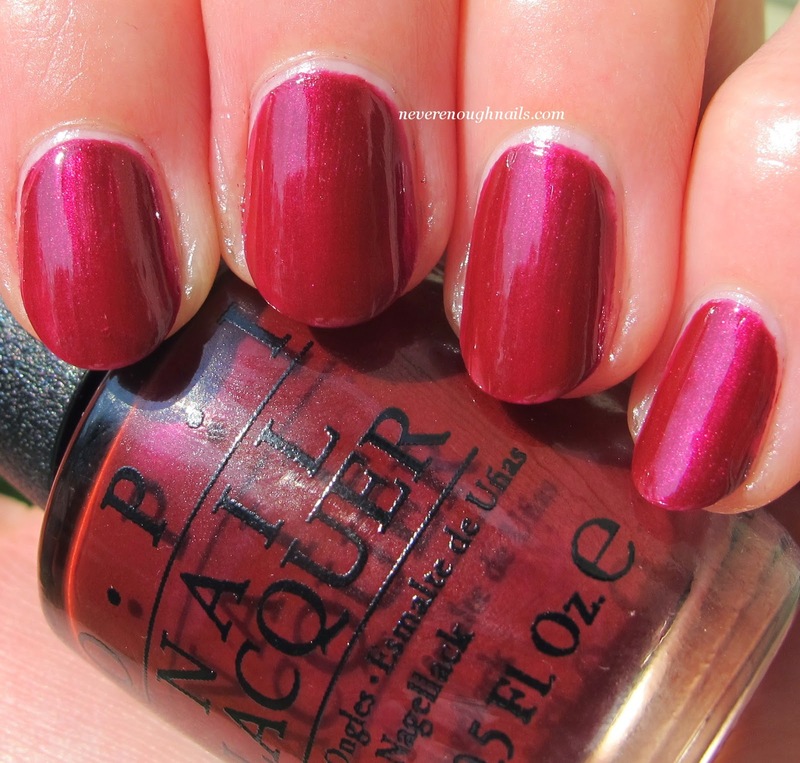 Never Enough Nails: OPI Nordic Collection Swatches Part Two! I definitely did not intend to make you wait all week to see the second half of my OPI Nordic Collection swatches, but I came down with a cold or maybe flu this week and it really knocked me out. The summer is a terrible time to be sick, but I am starting to feel better now. I'm really excited about the six polishes in this half of the Nordic collection, so let's get to it! Let me start by saying that the formula of all six of these was excellent. Easy to apply and very nicely self-leveling, I only used two coats of all but one of these colors for full opacity. I used three coats of Thank Glogg It's Friday, but I tend to do thin coats. It may be a two-coater for some of you. This dusty dirty mint creme is OPI My Dogsled is a Hybrid. My Dogsled is a Hybrid is a wintery version of some of the mint/light green cremes we've seen this past spring and summer. It's a bit deeper and slightly blue-toned. It's not a bright, but it'll be a nice segue when you're going from summer neons to fall colors. Love this one! 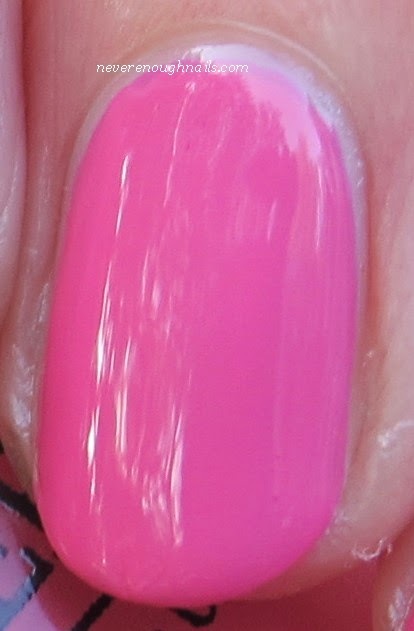 OPI Suzi Has a Swede Tooth is a purple-toned medium pink creme. This is a nice departure from all of the baby pink cremes. It's richer and I think it will be more flattering on a wider variety of skin tones. I usually am not crazy about pink cremes, but I think this has enough purple in it to make it interesting to me! I also like that I can wear Suzi Has a Swede Tooth now or in the fall. Sometimes I am not in the mood for all of the vampy colors when it's still summer, but I do like to wear new polishes as soon as I get them. I'll be wearing this on my toes soon! 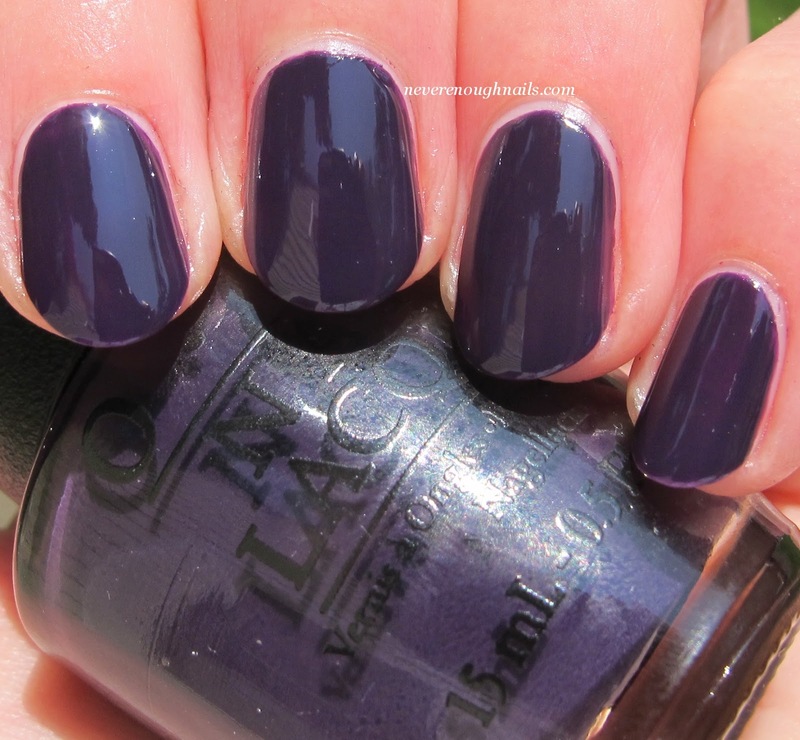 OPI Do You Have This Color In Stock-holm? was a very difficult shade to photograph. It's a blurple creme, but it's definitely much more purple than my photos show. Blurples are the death of cameras everywhere. I would try to see this one in person, as I have yet to see an accurate blogger swatch. It's pretty true to the color it looks in the bottle. 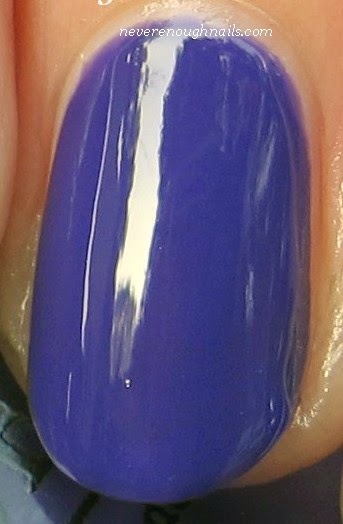 I do love a good blurple creme, and this one is definitely fantastic! I love that it's a medium toned shade, I have a fair amount of bright blue-purples and darker ones. This is another polish in this collection that I can't wait to wear! 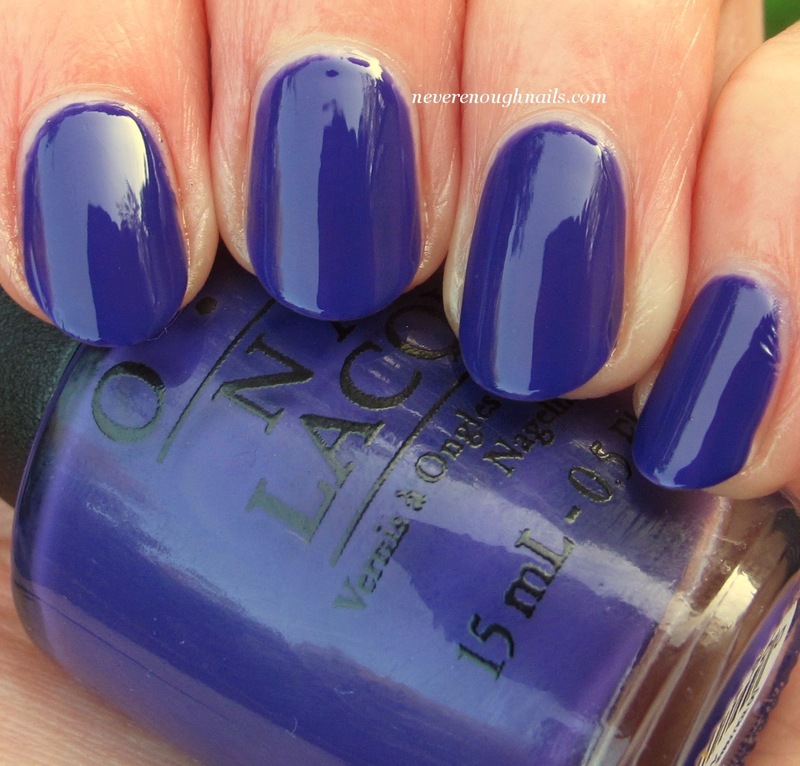 OPI Thank Glogg It's Friday! really surprised me. I wasn't expecting to love this, but I am crazy about it! 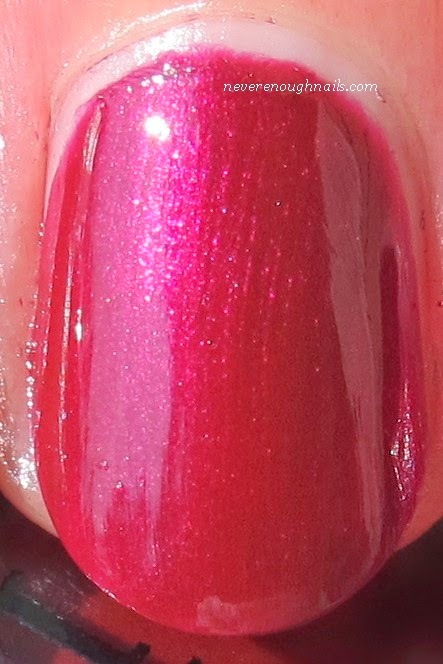 In the bottle, it looks like a kind of brown-toned red-purple, but on the nail it's a smashing brighter red-plum shimmer. I can't think of anything like this off the top of my head, the reddened purple shade is so gorgeous with all the shimmer. I did use three coats of Thank Glogg It's Friday for these pictures. There was a little bit of remaining VNL after two coats, but again, I do thin coats. I've seen a lot of people say that this was a two-coater for them. Either way, the formula is still great and easy to work with, and the color is stunning. I will thoroughly enjoy wearing this deep vampy navy blue purple creme and I hope people ask me what the name of it is when I do wear it. OPI Viking in a Vinter Vonderland just makes me die laughing every time I read the name on the bottle! (side note for Harry Potter fans- it also makes me think of how Viktor Krum talks in the books!). All laughing aside, this is a lovely dark blue-toned purple creme, I say navy blue toned because it is such a deep color. I do love a good vampy creme for fall and winter and I think Viking in a Vinter Vonderland will be my new go-to vamp color. Possibly my first fall pedi, although several shades from this collection are currently vying for that spot! OPI Skating on Thin Ice-land is a red-toned purple creme. I do like that OPI included blue-toned purples, but also two redder purples. Sometimes the blue-toned purple polishes are very prevalent, but really the red leaning purples are so pretty too! Skating on Thin Ice-land has kind of a smoky feel to it, brighter than a vampy shade, but still fall and wintery feeling. 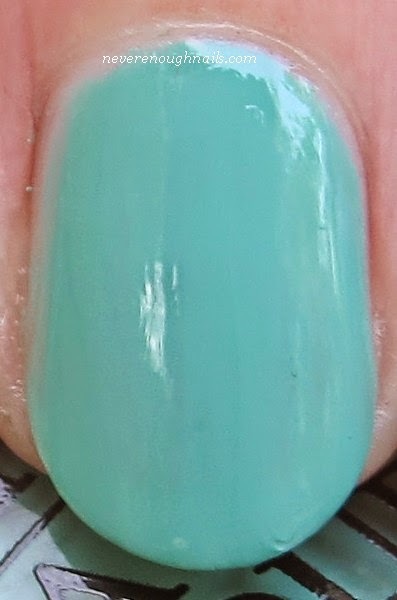 I'm noticing in the pictures just now that it looks like I should have done a third coat, but in person this looked smooth and perfectly opaque. I need someone to invent a technology where I can take pictures with my eyes instead of a camera LOL. Skating on Thin Ice-land had a little thinner feeling formula than the others in this collection. Just use a bit of caution to make sure it doesn't flood your cuticles. Overall, I think the OPI Nordic Collection is a solid, well thought out collection for fall. I like that it seems cohesive as a collection. These colors will work very well together for nail art- marbles, gradients, ombres, etc. There are some great fall and winter colors, but there's also a couple of brighter shades for when you get tired of darks and neutrals. You also really can't go wrong with the formula of any of these polishes, so if you're eyeing some of them, I highly recommend getting them. My personal favorites are OPI With a Nice Finnish, Can't Afjord Not To, My Dogsled is a Hybrid and Thank Glogg It's Friday! The OPI Nordic Collection should be starting to pop up at professional salons, Ulta and ulta.com now. Thanks Ananka, these were really fun to swatch. I love Thank Glogg It's Friday too!